The SPI Group, which owns Stolichnaya Vodka, responds to a recent boycott promoted by Dan Savage and other LGBT activists. Members of the LGBT community are urging a boycott of products manufactured in Russia, following the national adoption of a ban on so-called homosexual propaganda, the refusal to allow gay and lesbian international citizens to adopt orphaned Russian children, and a series of violent demonstrations against the country’s LGBT community in recent months. Stolichnaya, the popular vodka brand, has been a focus of attacks by activists, who are promoting the hashtags “#DumpStoli” and “#DumpRussianVodka” on Twitter. Dan Savage, columnist, author, and founder of the It Gets Better Project, published an article in Seattle's independent newspaper The Stranger on Wednesday titled “Why I’m Boycotting Russian Vodka,” urging gay bars to stop serving the brand and others like Russian Standard, Shustov, Starka, and Stolnaya. 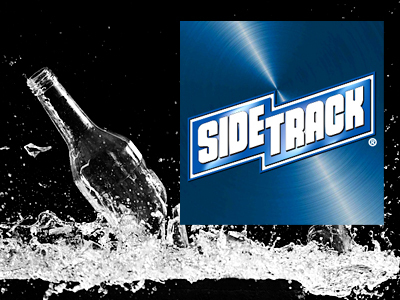 Sidetrack, Chicago’s largest gay bar, announced yesterday that it would remove Stolichnaya and other Russian brands from its shelves, according to the Windy City Times. Another Chicago gay bar, Call, joined the boycott. The SPI Group, which owns Stolichnaya Vodka, contacted The Advocate today to release an open letter to the LGBT community. The statement stressed that Stoli “firmly opposes such attitude and actions” committed by the Russian government and continues to be a “fervent supporter and friend” of the community, pointing to past endorsements of Pride events and LGBT organizations. The statement claimed that the Luxembourg-based company is not affiliated with the Russian government, and that the vodka's production is divided between Russia and Latvia. Read Stoli's full response on the next page.